Saving allies, defeating enemies, and facing impossible odds. It’s just another day in the lives of the Winchesters. But success often breeds new obstacles, as we soon learned. They’re going to need all the help they can get before this is all over. First up, the adventures of Dean and Ketch. Their jump through the rift to Apocalypse World seemed peaceful, at first, but we soon found a new mission for them to focus on. They only have twenty-four hours to find Mary and Jack before they have to come back empty-handed or stay stuck in that world forever. Seems pretty straight-forward, all up until the point where Dean comes face to face with that world’s Charlie, in danger of being killed. 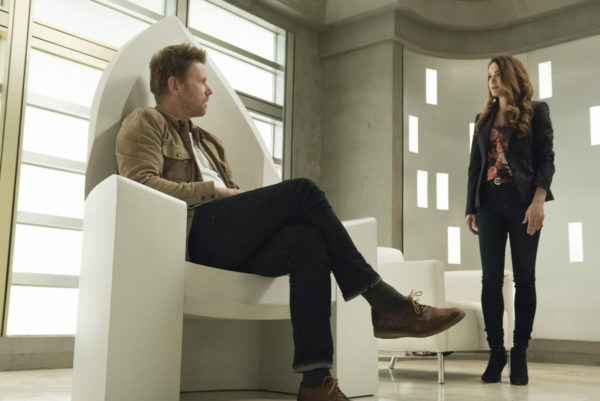 Sure, he starts with the cover story that they need to save her, since she has intel on where Mary and Jack might be, but Ketch sees right through that and finally gets the real story out of Dean. He has failed Charlie once, he cannot do it again. Losing his adopted sister hurt too much the first time, so if it’s within his power to prevent it in Apocalypse World, then he will do whatever it takes to save her. I like this version of Charlie. She’s got some remnants of the one we came to know and love, yet she’s also hardened by what she’s gone through in her world. And I can see a potential for Dean and her to become close, if given the chance. But I suspect that, once this is all over, Alternative!Charlie will stay behind in Apocalypse World to rebuild after the final battle. She already showed that determination when Dean was going through the rift. She has to stay behind and fight. This is her world, for better or worse. 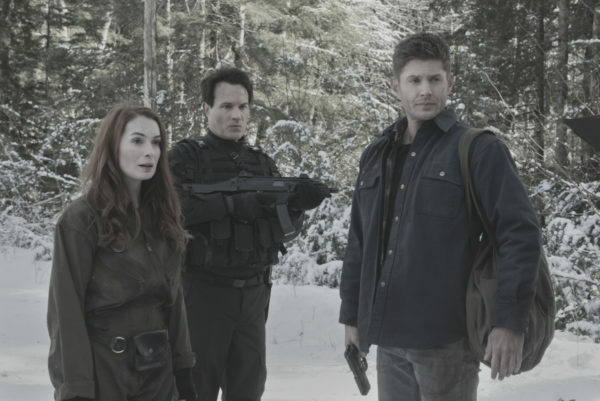 And Ketch staying behind to fight beside her made me happy. 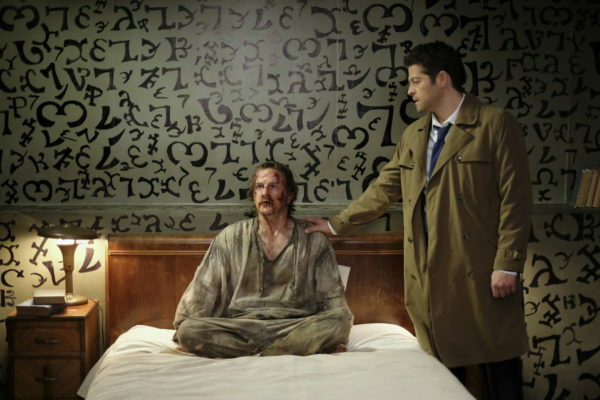 He is such an interesting character, with a constant need to play the game for his advantage, but I think he can be a good ally for the Winchesters for the time being. I just hope the boys figure out a way to get back to Apocalypse World before Ketch, Charlie, Mary, or Jack fall into more danger. Upside was that Gabriel did come out of his shell and start to heal. Downside was that, with him taking in his grace and growing a bit more powerful, Asmodeus was able to easily track him down at the bunker. The whole fight scene, and even the aftermath, showed who Gabriel really is. 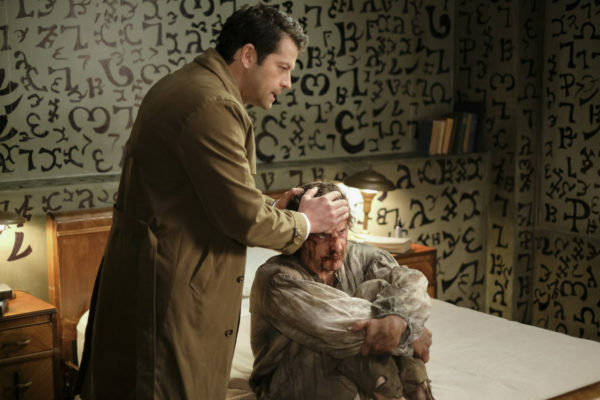 Someone threatens Sam and Cas, his friends and family, he is going to fight back. So, Asmodeus suffered the wrath of Gabriel and is no longer a threat. But expecting him to stick around and fight yet another family battle, this time with alternate versions of Michael and the rest, is not what Gabriel’s looking to do at the moment. I do expect him to be back, but he needs to physically and mentally heal first. He suffered years of torture, so it’s not unreasonable to grant him some recovery time, even if his grace is the only way the boys will be able to open the rift again. And that’s not even mentioning the other family drama going on up in Heaven. Lucifer’s just now realizing the extent of pressure and demands his father had to deal with on a daily basis. And Lucifer cannot yet command the power and following that God had. Yes, he wants to find Jack, but that single-minded mission is going to cost him once the angels find out he cannot follow through on all the promises he made to them. Plus, now that Jo’s turned her back on him, he doesn’t have anyone else to rely on. And once Cas and the rest of them figure out he’s taken over Heaven, Lucifer will have to go up against them in the middle of dealing with his angel soldiers. I don’t think it’s going to end well for him. So many storylines, so many threads that will be coming together as we near the end of the season! I am looking forward to seeing how it all plays out, and for a return of my favorite archangel. Go Team Free Will!